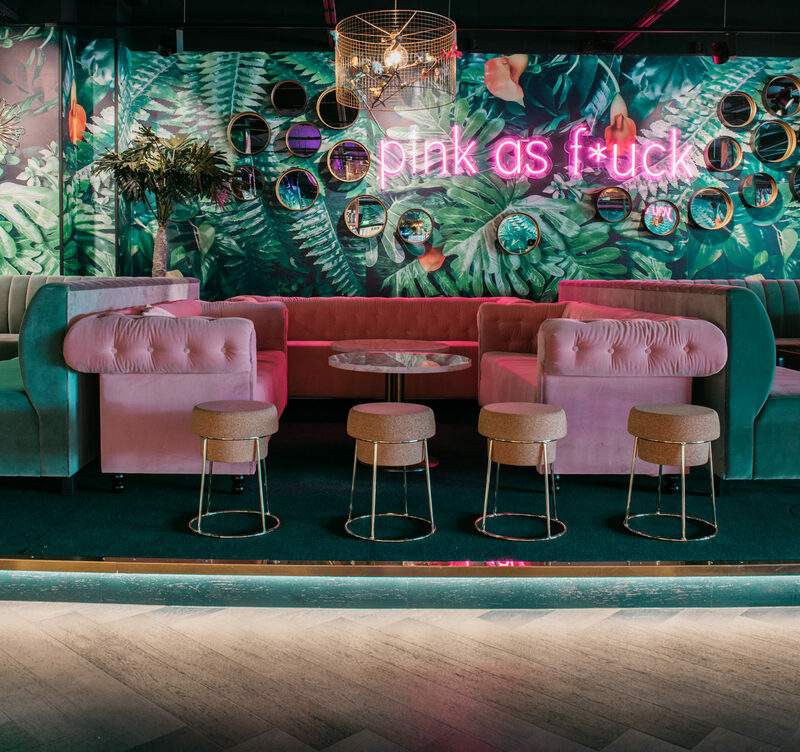 Apteekkari Club is a brand new 500m2 second floor extension to the original Apteekkari Bar in Kuopio designed by VDPHelsinki and opened in 2016. 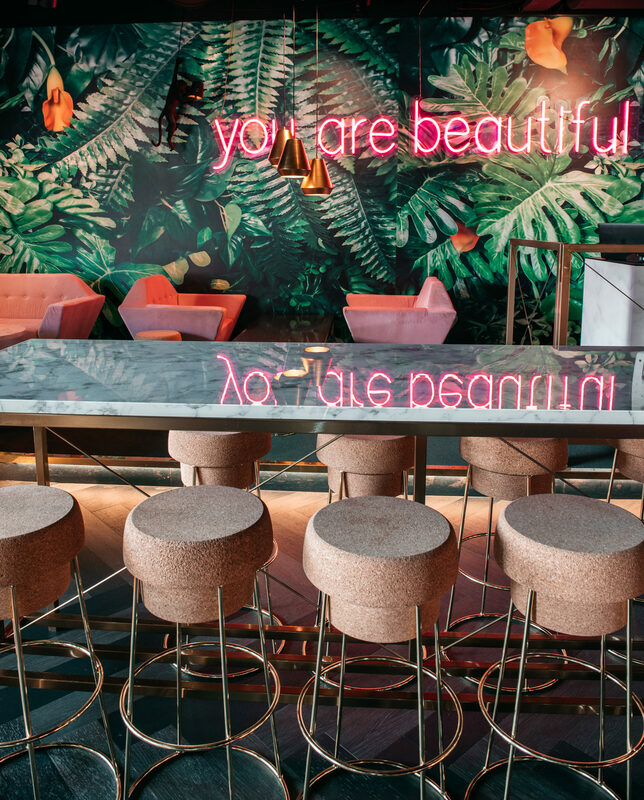 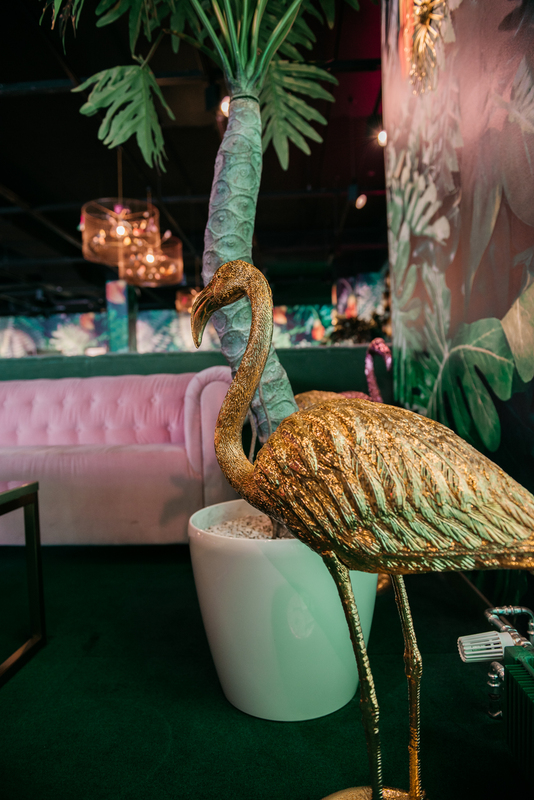 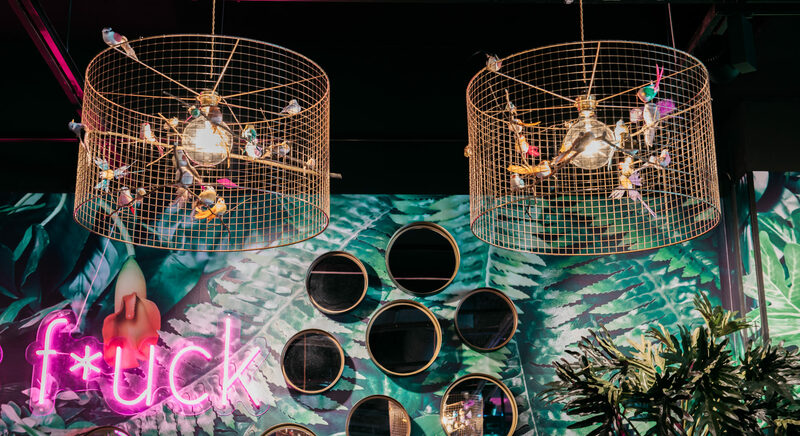 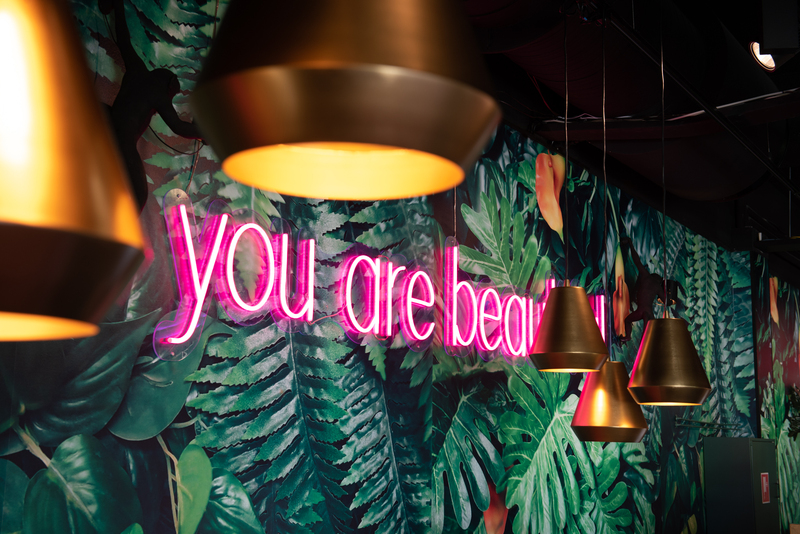 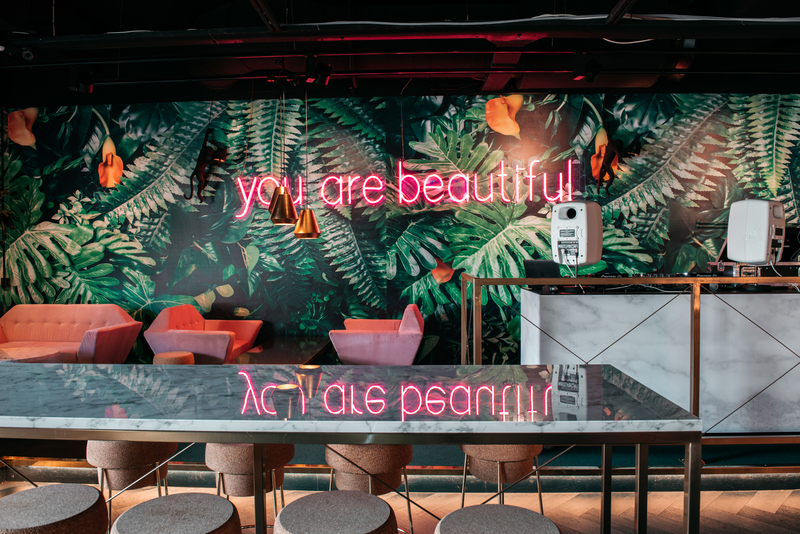 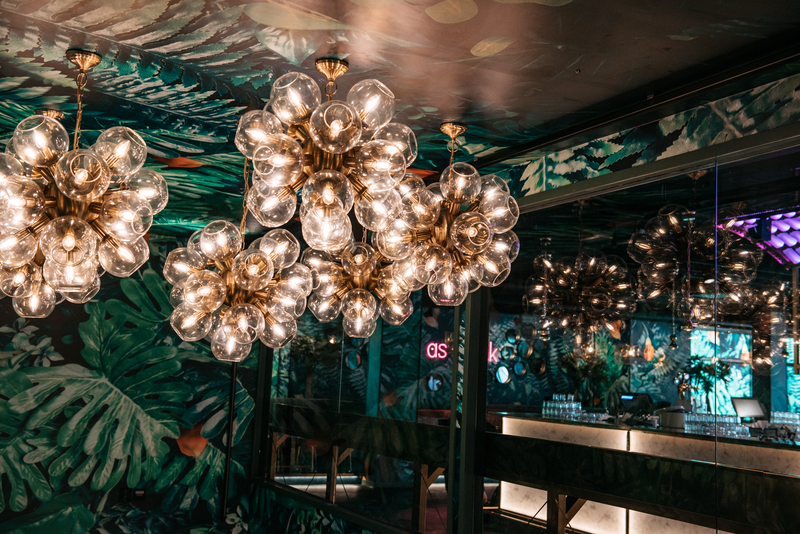 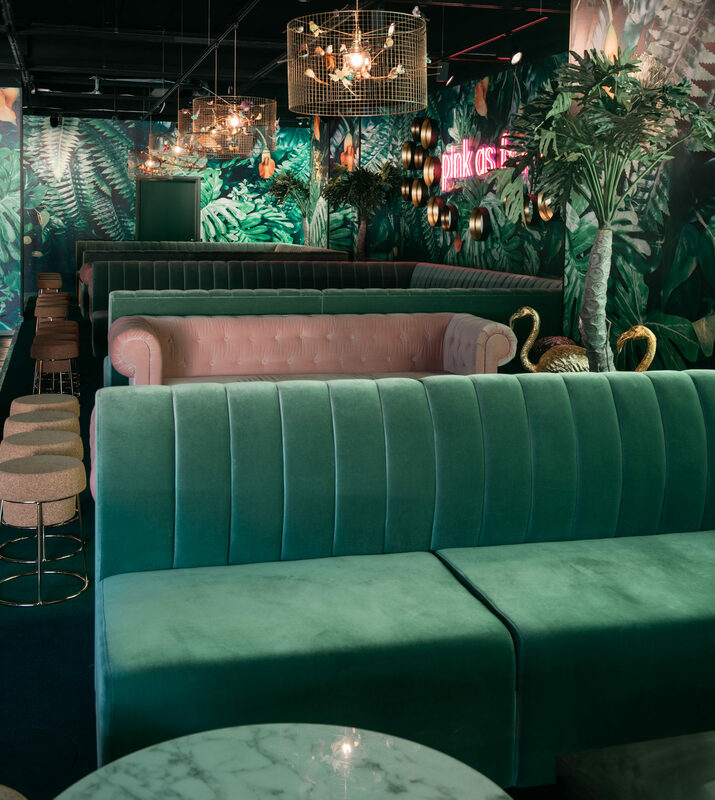 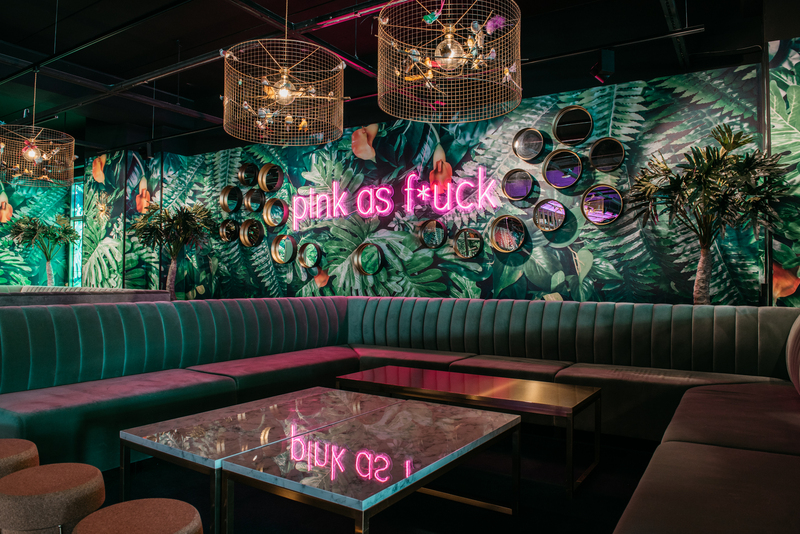 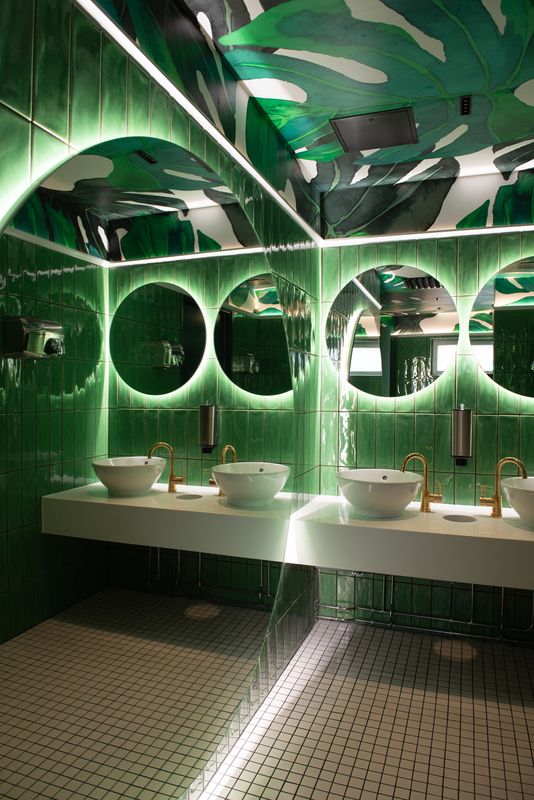 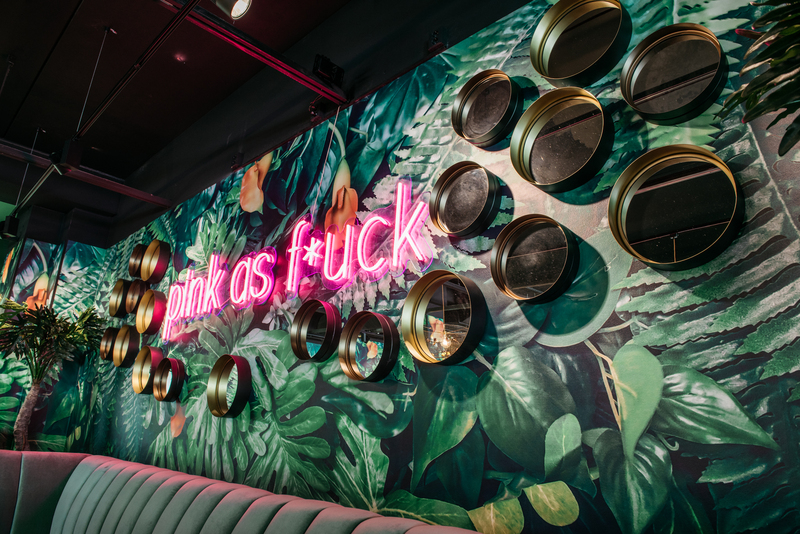 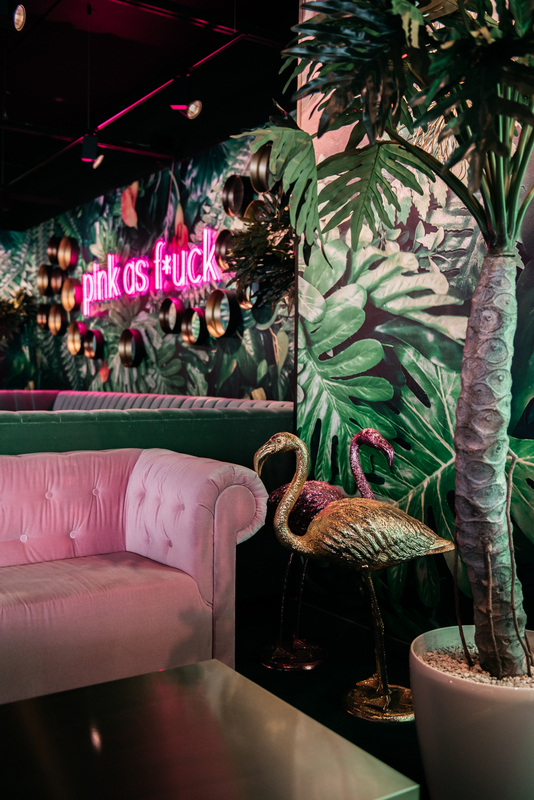 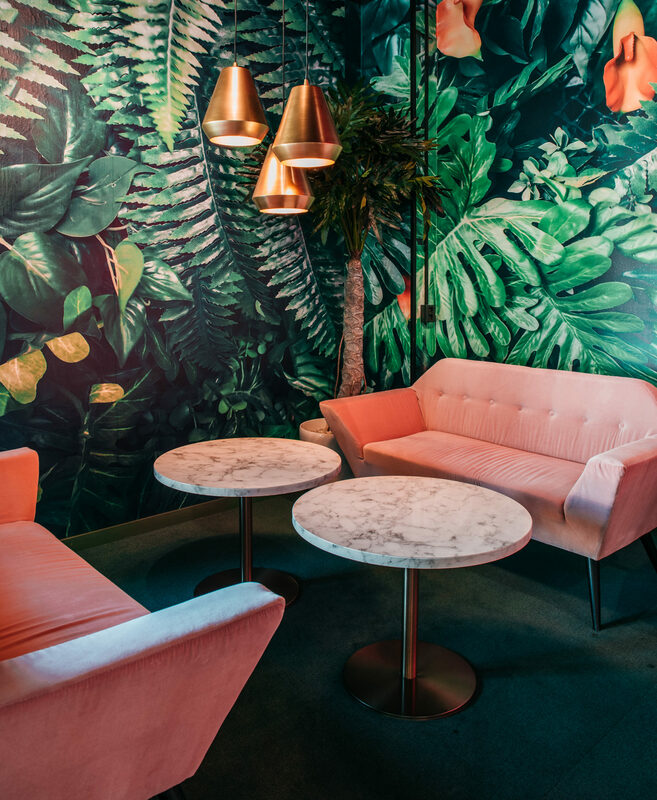 The color palette of Apteekkari Club is a playful mix of Lush green and pink as F**k. One of the eye catching elements and central focal point is the funky bar covered with marble and brass. 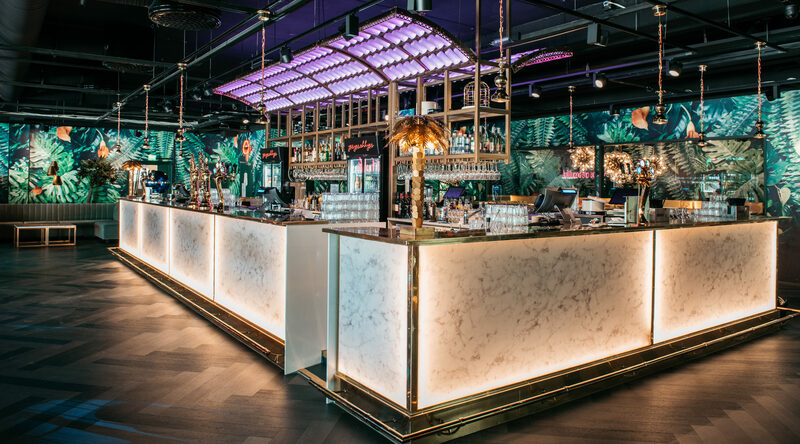 We made the restaurant Apteekkari Bar project in spring 2016 with VDPHelsinki. 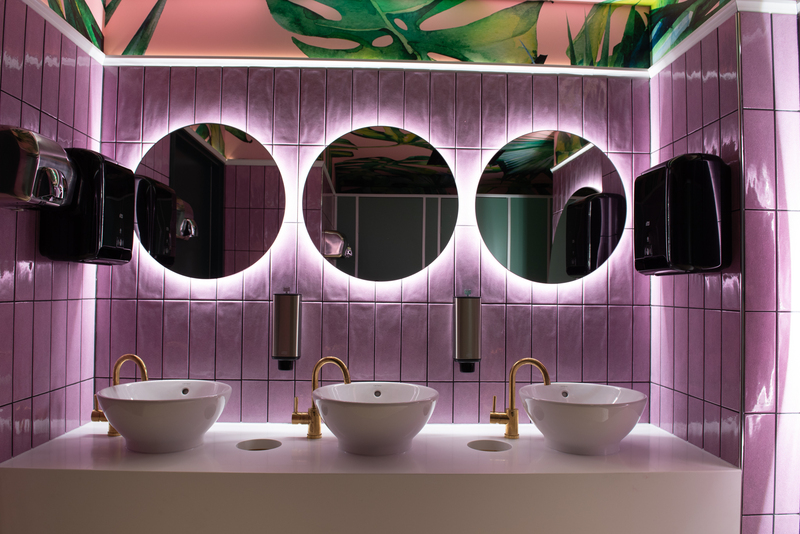 Ms Jaana Ekman and her team achieved and went beyond the level of our expectations in the original project. 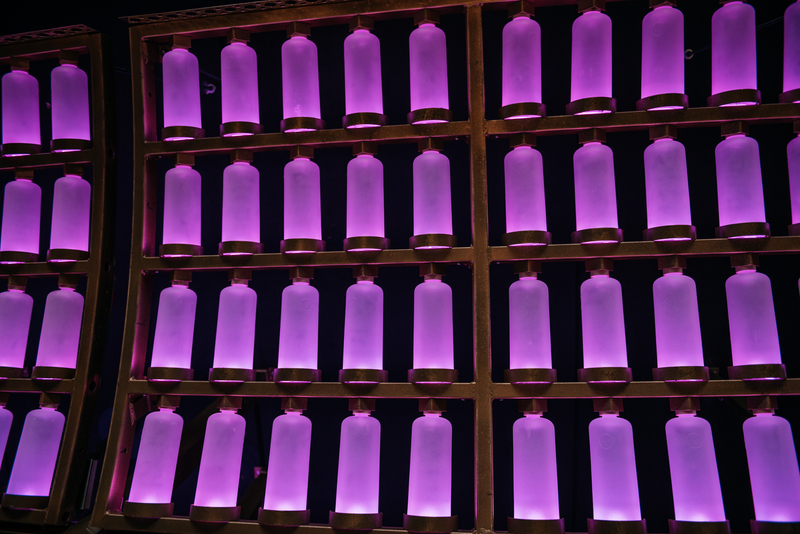 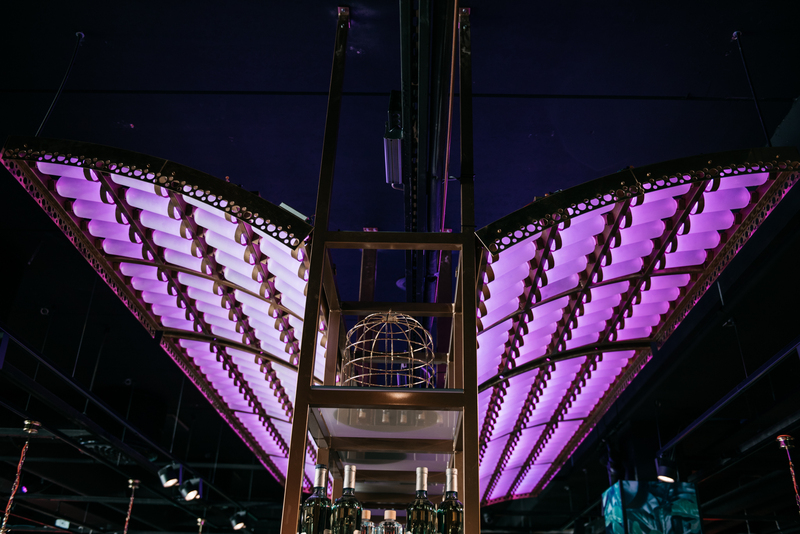 Theme for the restaurants interior design was steampunk & copper meets modern & chic pub -themed restaurant. 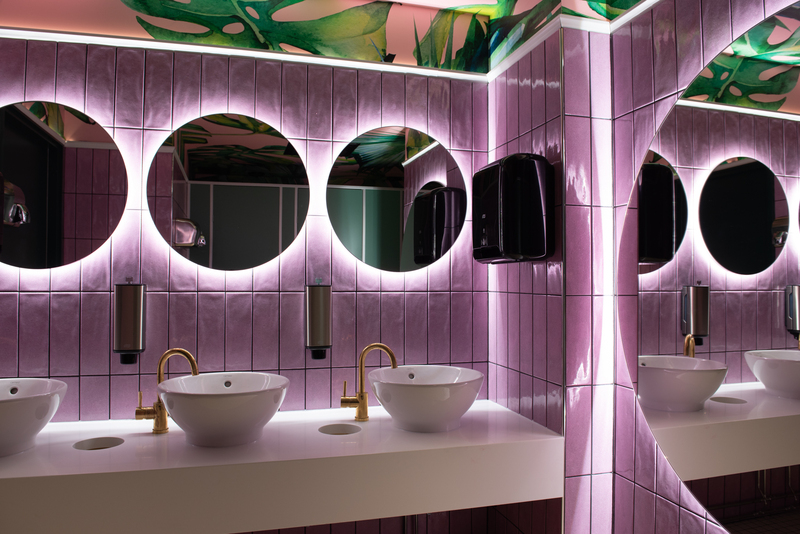 The restaurant Apteekkari has lasted time nicely all the interior design details that were there in Jaana’s plans are still there today. 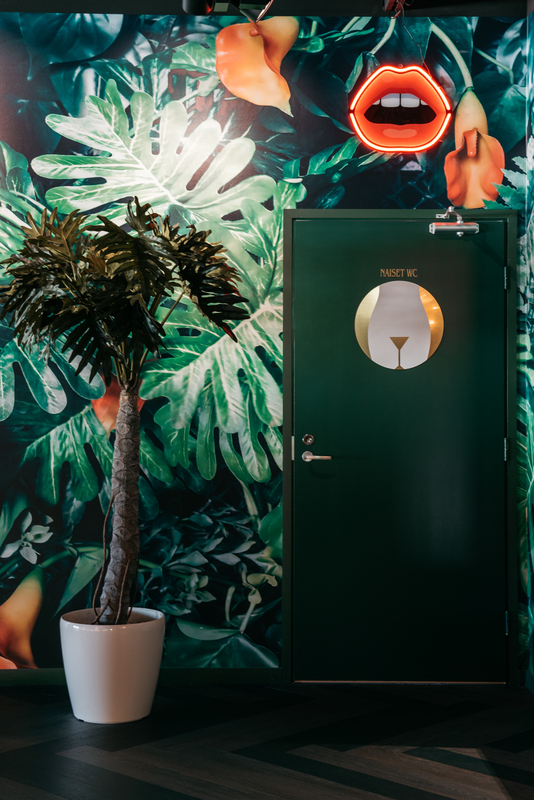 So it´s fair to say that Jaana’s designs and material choices are long lasting. 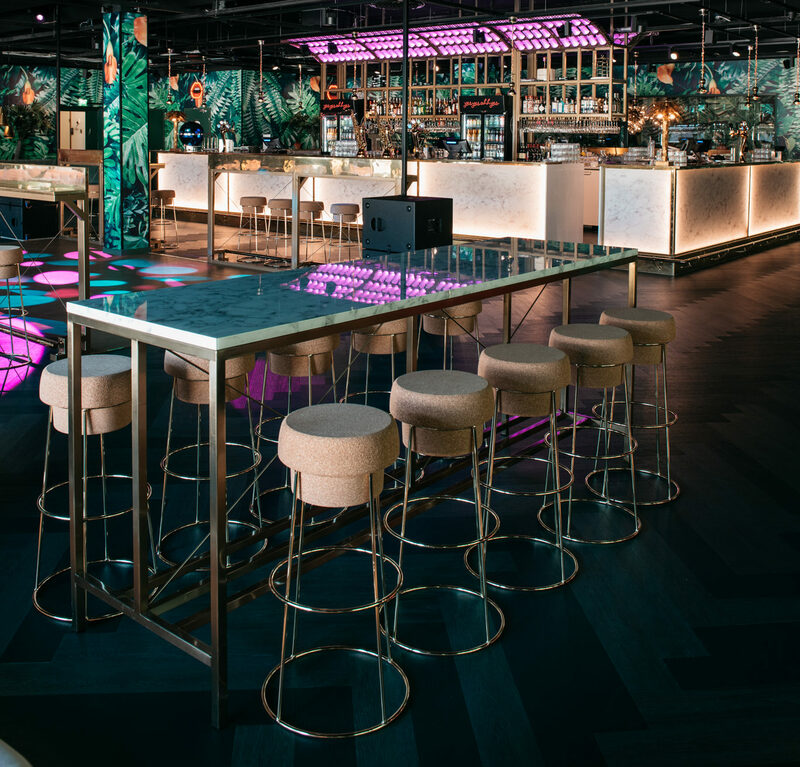 Now two years later, in 2018, it became possible to expand the current restaurant Apteekkari Bar with the new extension of 500m2 club venue. 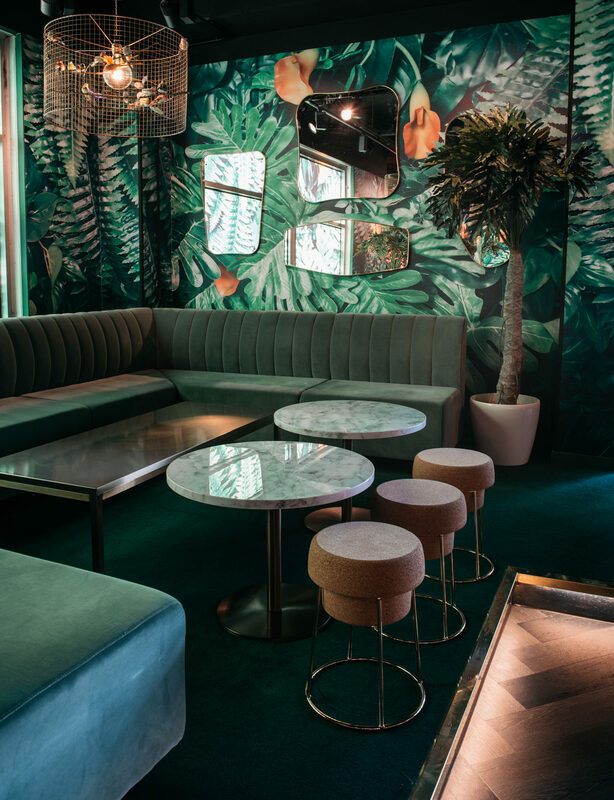 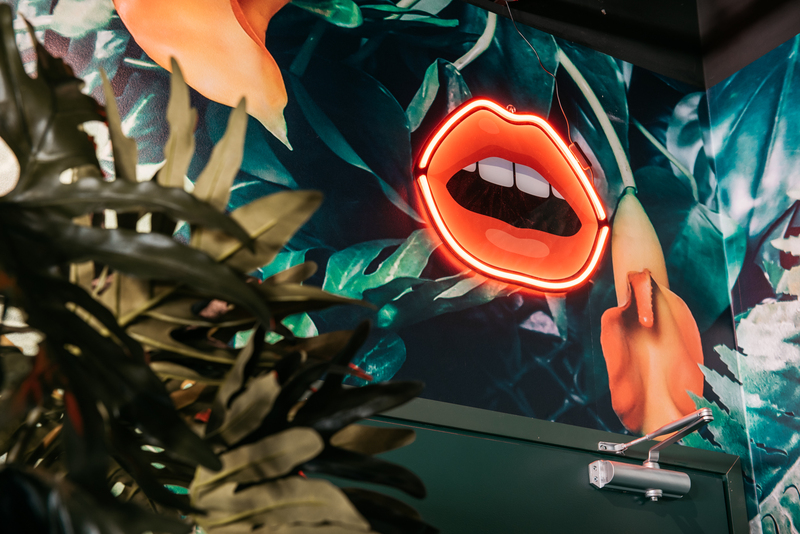 Our main idea was to bring the beautiful sunny Australian nature inside the club, so it would be distinctively modern and clearly recognized among our customers as a separate addition although it is still part of the restaurant Apteekkari Bar & Club. 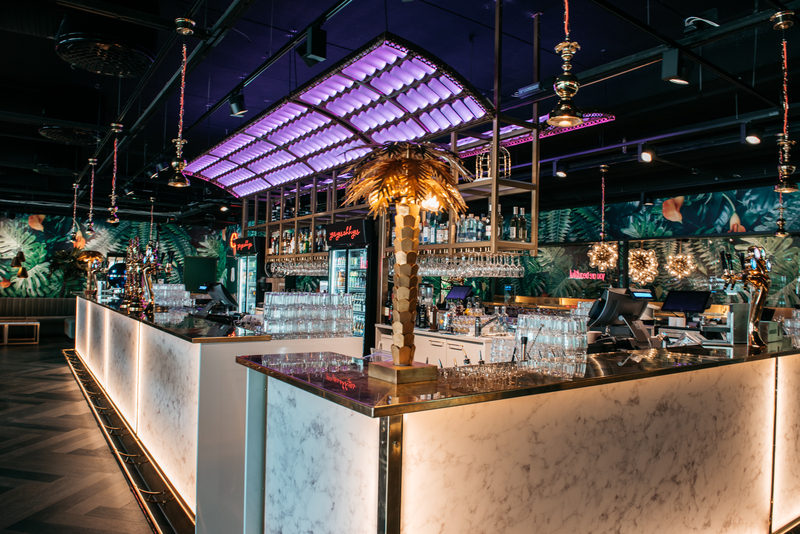 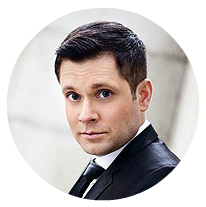 Despite of the fact that you are in the middle of arctic Finland in the city of Kuopio it is possible to feel like you are dancing in some of the best of the best clubs in Melbourne, Sydney etc. 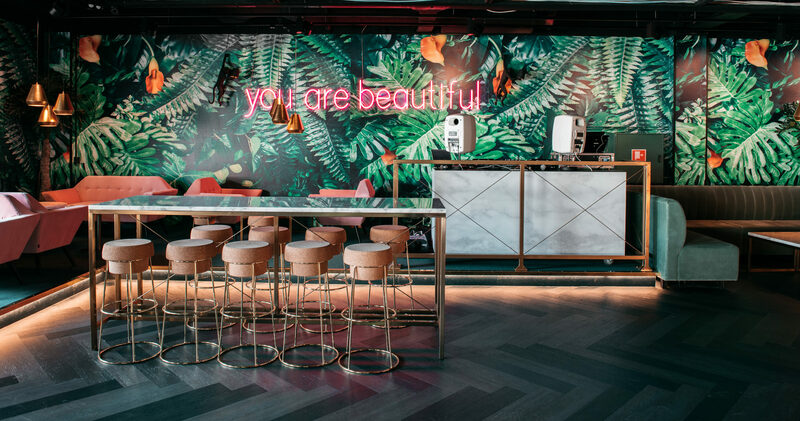 This 500m2 brand new space is a true eye-candy! 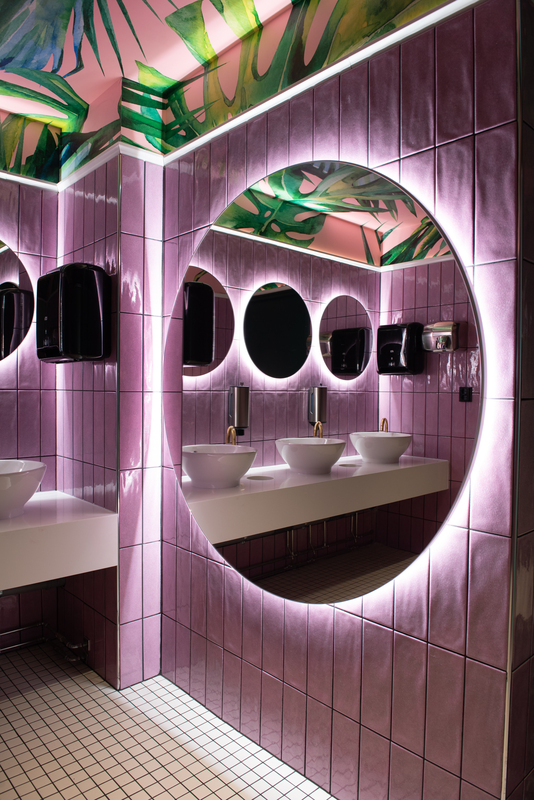 Jaana made our club concept alive and kicking. 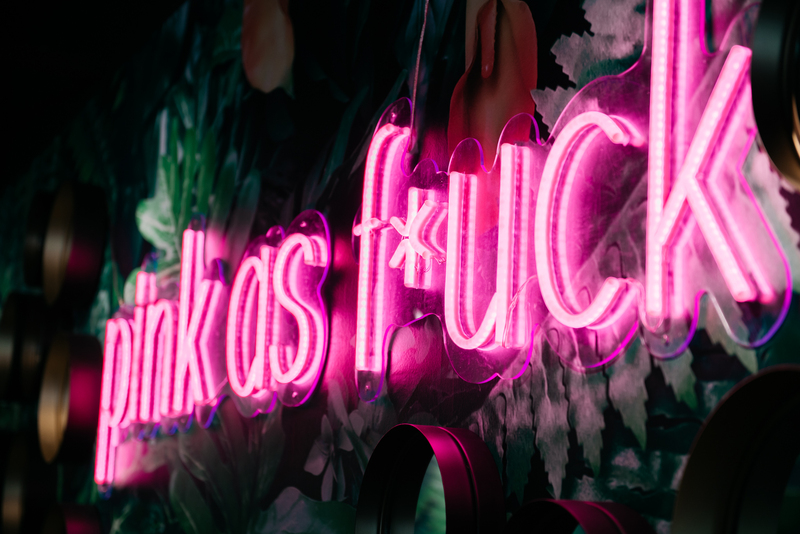 Again – should I say!